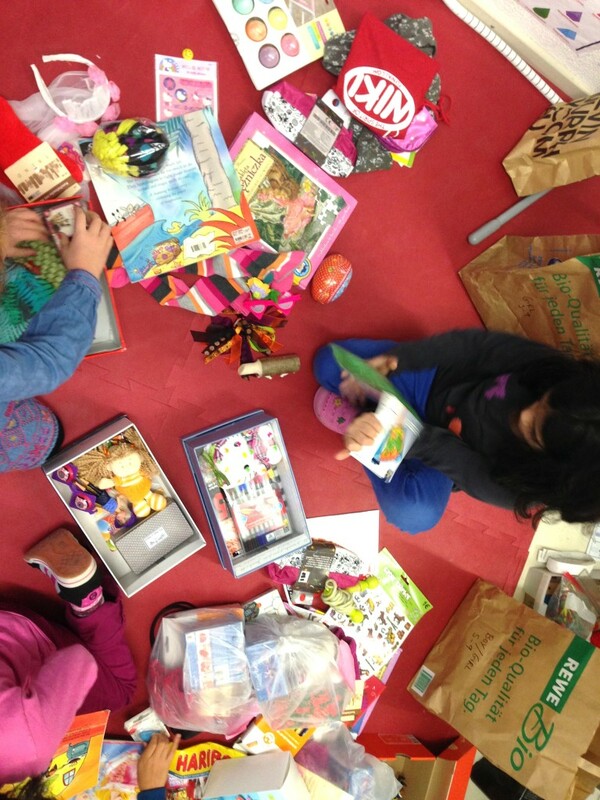 A wonderful workshop yesterday! Lovely and creative kids ! 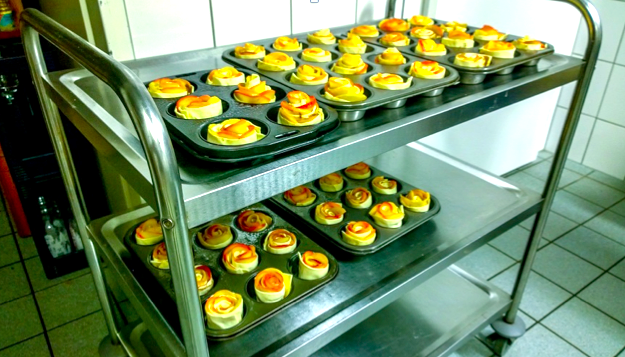 photos & text: Dana A.
Pumpkin soup, Pörkölt and Apple Roses, that was the menu of the MCP Charity Dinner 2015. A few weeks before the actual Dinner, we met and decided to give the menu we designed a try. Doing this was a very helpful and important step in planning the dinner, because of this we probably avoided several mistakes and felt more confident. We began our shift at the Heinstein’s kitchen at 2:30 pm. Herr Kettner kindly introduced us to the kitchen. We had to work fast, as we did not have much time. First we chopped up all the ingredients which took quite some time itself due to there being 2 large boxes of vegetables. 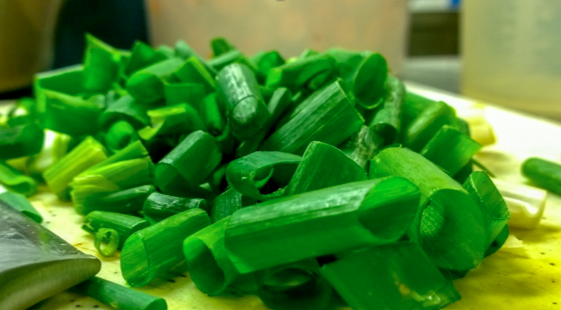 Once these vegetables were cut up we instantly began cooking the main dish, a type of Hungarian stew. We noticed that cooking in such large quantities is exhausting and stressful. That is why we refreshed ourselves with apple slices and sweets. The most challenging part in the cooking was the dessert. Making the dessert required a fair bit of craftsmanship and also an artistic hand to make it look appealing. We came across challenges such as not having enough puff pastry for the roses and had to go to buy some more before the time ran out. 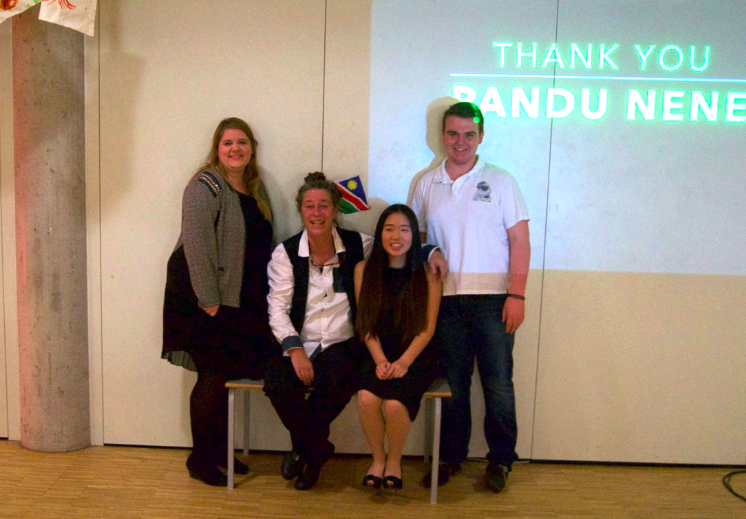 In conclusion the food was widely appreciated by the guests and seemed to have been a success. 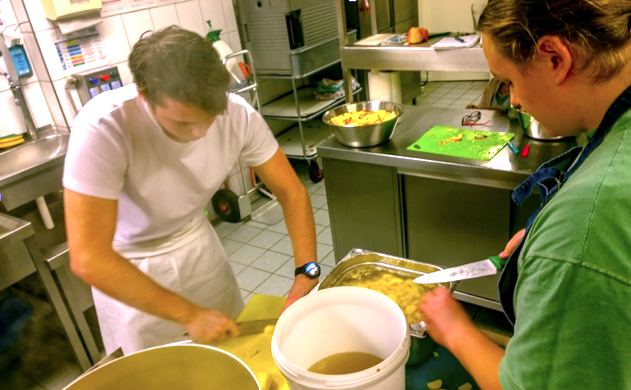 Big thanks to all people that helped in the kitchen and at the dinner. Today after school Amon, Benita, Mica, Rebecca and Yann will be selling buttons and handing out flyers to support HD hilft!, an organisation that collects money for unaccompanied refugee children. Buy your button after school in the H.I.S Foyer. our first year in Singapore is almost finish. We look back at a wonderful year with so many new experiences, cultures and visited places. We are grateful to H.I.S. with their dedicated teachers that made the school transition so easy for our three kids. They are all very well settled in and easily follow their grade expectations. Thank you H.I.S. !! In December we will be back in Germany – the first time after one year! 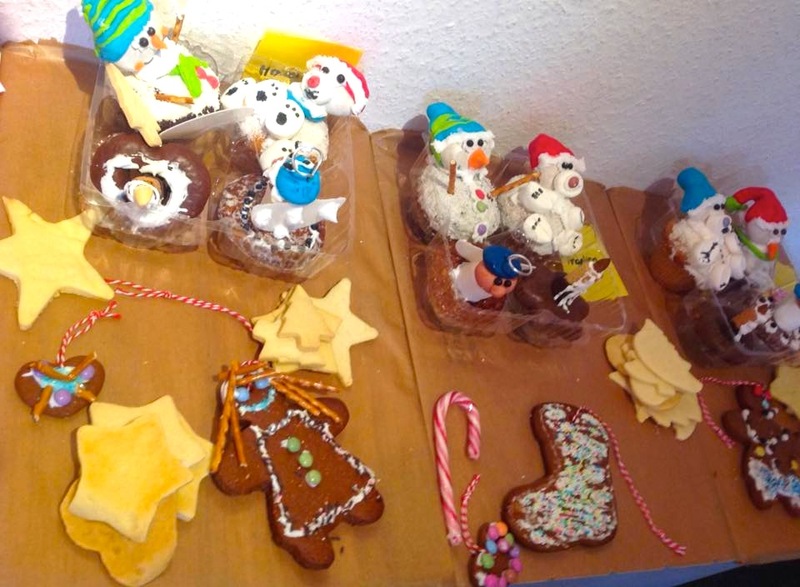 Weíre looking forward to celebrate Christmas with our families. I’m Carolin. I have been at H.I.S. since primary 1. In december 2014 I moved to Singapore, a very small country at the bottom of Malaysia. Even though it is a small country it is very diverse and unique to other places in Asia. Everywhere you go it is clean, the food is so good and many different people with different cultures live well together. Singapore is a city full of action! You never get bored. My new school Stamford American International School is very big. It has over 2,500 students. You meet someone new every day! Stamford also has great after school activities. I have swimming after school every day. Our coaches wake up at 5:00 so we can swim in the morning! One of the things that might sound amazing is the weather. But I am telling you, you get sick of it at some point. It is always hot and so humid! If you walk on the street for 10 minutes you start sweating and it is like this all year! Singapore has no seasons. The food here is very unique and different compared to the German food. One of the most famous fruits in Singapore is the durian fruit. It smells terrible. You can’t take it on the MRT (underground train) because it smells so bad. I have ate it dried before and that was already bad! Singapore’s main food is chicken rice. As you can hear in the name, it is rice with chicken on top. It tastes so good! In Singapore they have these places called hawker center where you can get what ever food you want that is Asian for 4 Singapore dollars. 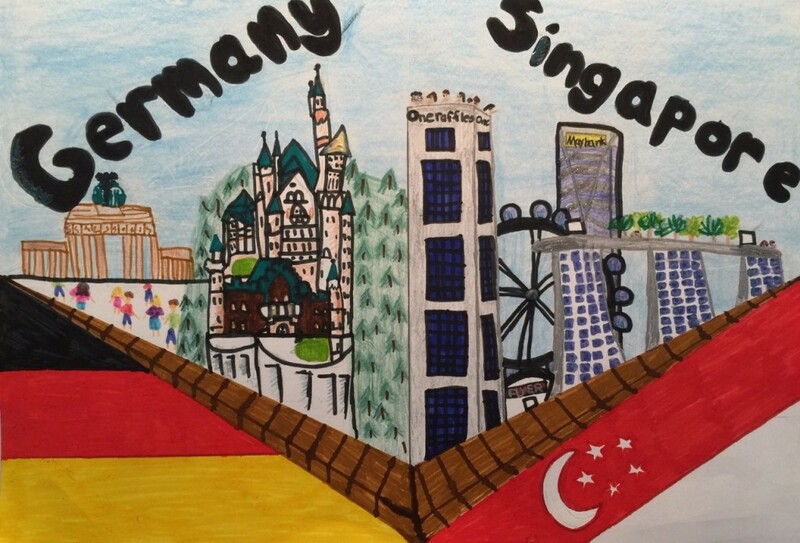 Singapore is an amazing place to live but Germany as well. I really miss the H.I.S. community and I am looking forward to coming back! Comments (1) | | Category: Where are they now? 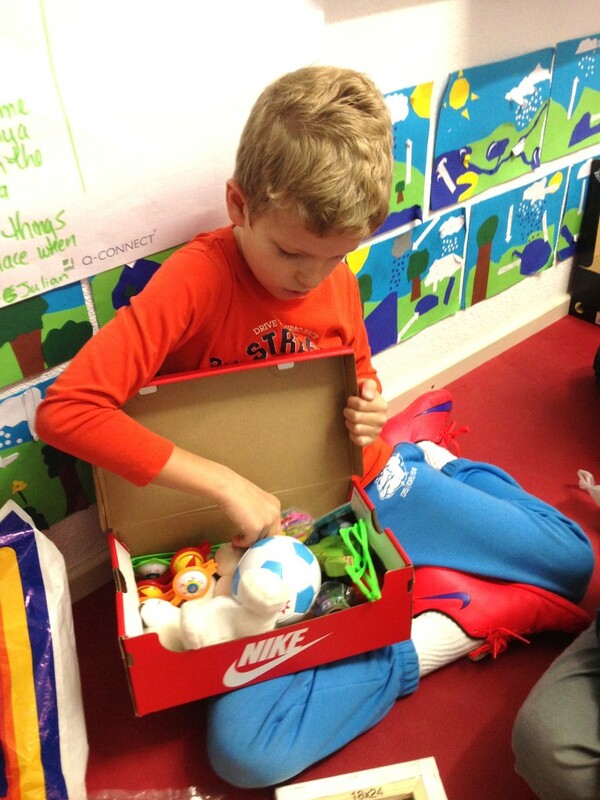 The action was initiated by Jenna who suggested we collect toys and clothes that would “thrill” a child. 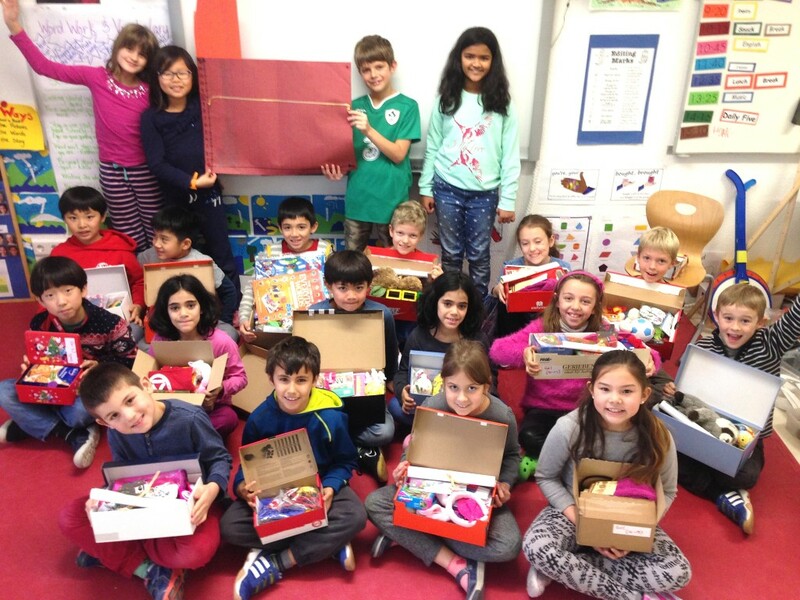 These items were sorted according to age and gender before being carefully arranged in shoeboxes. They will be given to the refugee children as gifts. Jenna and her dad are dropping them at the centre today. I’ve asked him to also take photos which I’ll add to the folder on the server once he sends them to me. 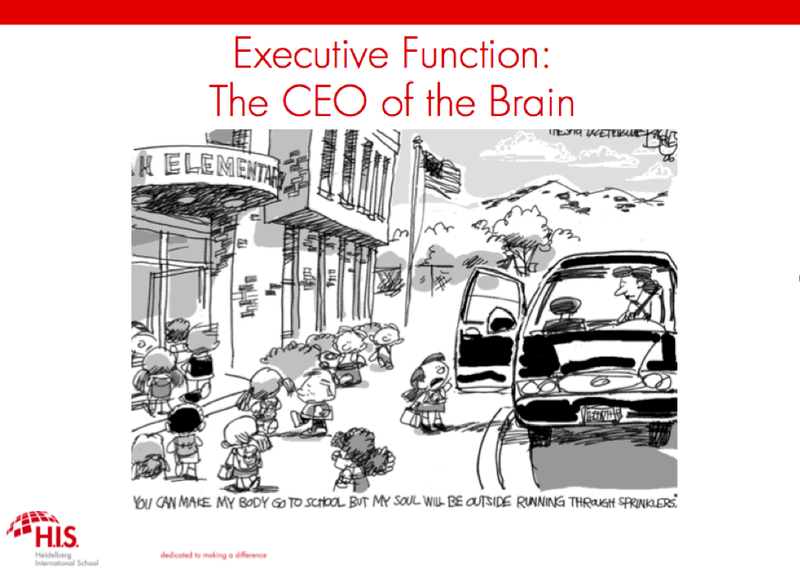 Executive Function Workshop – All Welcome! Executive Function is our ability to organize, prioritize, plan and set goals, initiate tasks, sustain attention and manage time effectively. Who: All are welcome! This is relevant to us all. This workshop will be presented by Sandra Hohenwarter. 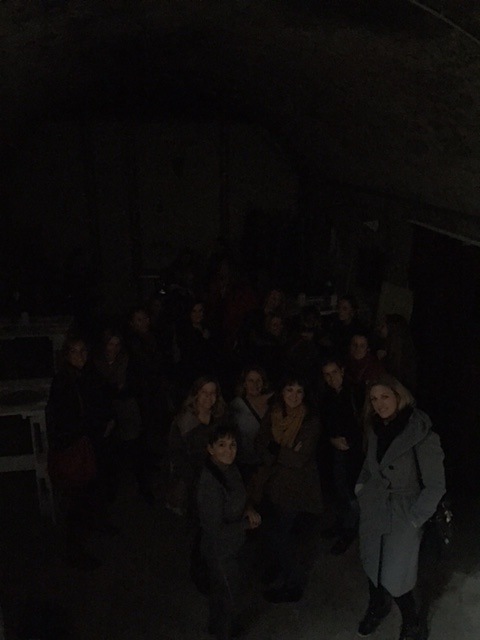 Culinary Fright turned into Sensory Delight at the recent PTG Breakfast in the Dark outing in Schriesheim. Upon arrival, we made our descent to the candlelit wine cellar for a welcome drink and then we were swiftly escorted to our table where we were seated in total darkness. Using our hands to orient ourselves around the place setting and our fingers and nose to touch and smell what was prepared for us on our plate, anxiety started to settle in on how were we going to get through this meal and enjoy it for the next 2 hours. Communication was so important as we were forced to rely on the person next to us to pass items that we needed like water, coffee, bread, etc. Our senses were heightened as the courses changed plates, and it was interesting to see what we were going to like after we tried it. The event came to a close with our main host, Norman ,telling us about his life as a blind person since birth. One couldn’t help feel compassion for Norman as we navigated our way through this culinary experience as in the life of a blind person. Best to Norman and his staff and we thank you for not pulling any pranks on us while we dined in the dark. Heidelberg hilft! 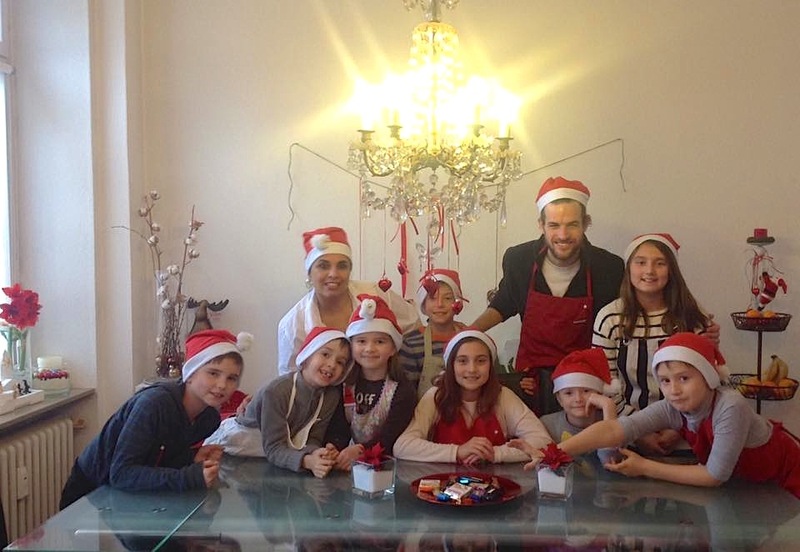 http://www.heidelberghilft.de/ supports unaccompanied refugee children in Heidelberg. You can help by buying a button for 5 Euros. For each button you receive a free flyer designed by students. H.I.S. 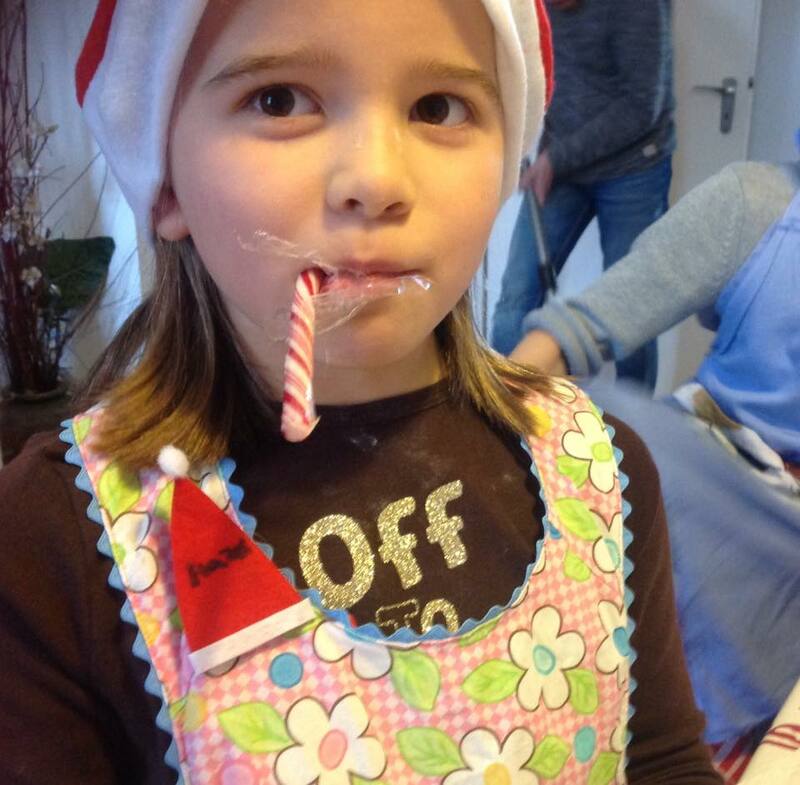 collects donations “Heidelberg hilft”! 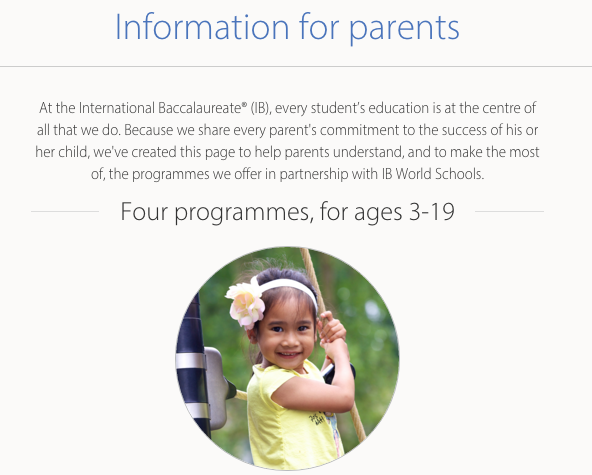 On their website the International Baccalaureate Organisation (IBO) offers information about the IB programmes. 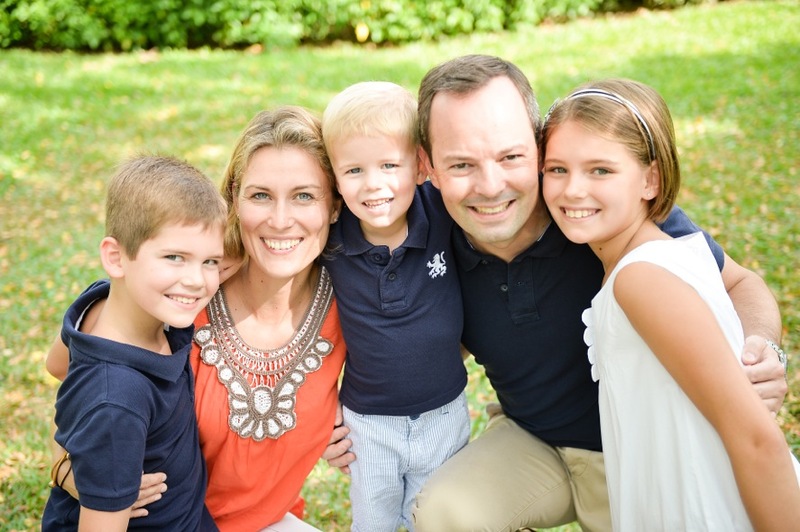 The parent section has been updated recently and offers a lot of information about the PYP, MYP and DP. Please click the link as indicated below to get to the website. If you have any questions or would like more information, please don’t hesitate to contact the IB Programme Co-ordinators at H.I.S.